The OSCAL organizers have given a reminder about their call for papers, booths and sponsors (ask questions here). The deadline is imminent but you may not be too late. OSCAL is the Open Source Conference of Albania. OSCAL attracts visitors from far beyond Albania (OpenStreetmap), as the biggest Free Software conference in the Balkans, people come from many neighboring countries including Kosovo, Montenegro, Macedonia, Greece and Italy. OSCAL has a unique character unlike any other event I've visited in Europe and many international guests keep returning every year. A bigger ham radio presence in 2018? My ham radio / SDR demo worked there in 2017 and was very popular. This year I submitted a fresh proposal for a ham radio / SDR booth and sought out local radio hams in the region with an aim of producing an even more elaborate demo for OSCAL'18. If you are a ham and would like to participate please get in touch using this forum topic or email me personally. We can all learn from their success with diversity. 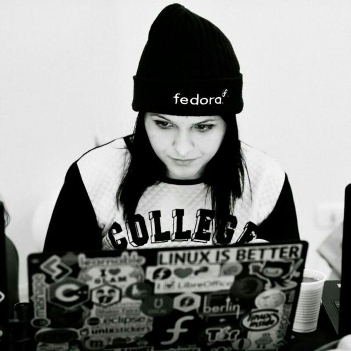 One of the finalists for Red Hat's Women in Open Source Award, Jona Azizaj, is a key part of their team: if she is announced the winner at Red Hat Summit the week before OSCAL, wouldn't you want to be in Tirana when she arrives back home for the party? Warm weather to help people from northern Europe to thaw out. For many young people in the region, their only opportunity to learn from people in the free software community is when we visit them. Many people from the region can't travel to major events like FOSDEM due to the ongoing outbreak of immigration bureaucracy and the travel costs. Many Balkan countries are not EU members and incomes are comparatively low. Due to the low living costs in the region and the proximity to larger European countries, many companies are finding compelling opportunities to work with local developers there and OSCAL is a great place to make contacts informally. Like many free software communities, Open Labs is a registered non-profit organization. Anybody interested in helping can contact the team and ask them for whatever details you need. The Open Labs Manifesto expresses a strong commitment to transparency which hopefully makes it easy for other organizations to contribute and understand their impact. Due to the low costs in Albania, even a small sponsorship or donation makes a big impact there. If you can't make a direct payment to Open Labs, you could also potentially help them with benefits in kind or by contributing money to one of the larger organizations supporting OSCAL. These notes about budget airline routes might help you plan your journey. It is particularly easy to get there from major airports in Italy. If you will also have a vacation at another location in the region it may be easier and cheaper to fly to that location and then use a bus to Tirana. For people who like to combine conferences with their vacations, the Balkans (WikiTravel) offer many opportunities, including beaches, mountains, cities and even a pyramid (in Tirana itself). It is very easy to reach neighboring countries like Montenegro and Kosovo by coach in just 3-4 hours. For example, there is the historic city of Prizren in Kosovo and many beach resorts in Montenegro. If you go to Kosovo, don't miss the Prishtina hackerspace.